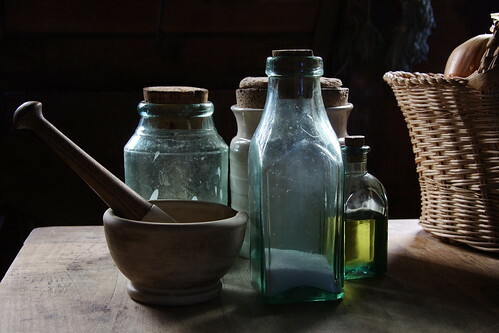 Still Life at Fort Vancouver, originally uploaded by The Bacher Family. I visited Fort Vancouver National Historic Park in February to present some training, and spent part of my lunch break one day taking pictures inside one of the reconstructed buildings. This building is used for educational groups, but I was most interested in the great natural lighting shining dimly through the windows on the assembled historic objects.